Saudi Arabia's crown prince travels on Sunday to France on the next leg of his global tour, extending his diplomatic charm offensive as he seeks to project a new liberal image of the kingdom. Prince Mohammed bin Salman's two-day official visit, which starts on Monday, comes after a weeks-long tour of the United States, Britain and Egypt, where he courted business leaders and signed a host of multimillion dollar deals. In Madrid, the royal palace announced that the crown prince will also travel to the Spanish capital on Thursday to meet King Felipe VI. For France, President Emmanuel Macron treads a delicate line as he hosts the prince in a visit expected to focus on cultural ties and investments, as well as the long-running war in Yemen. This is not a traditional state visit," a source close to the crown prince's delegation said. "It is about forging a new partnership with France, not just shopping for dealsMore than a dozen memorandums of understanding in tourism, energy and transportation are set to be signed between French and Saudi organisations, another source close to the delegation said. A Franco-Saudi cooperation deal to develop Al Ula, a Saudi city richly endowed with archeological remnants, is also expected to be a central highlight of the visit, he added. 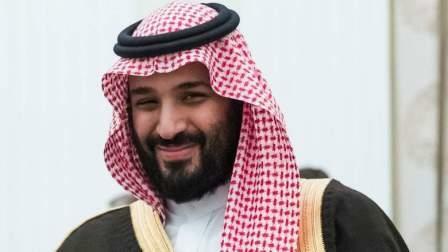 Prince Mohammed, well-known as MBS, has used his global tour to project his dazzling reforms including the historic lifting of a ban on women driving, cinemas and mixed-gender concerts, following his public vow to return the kingdom to moderate Islam. Saudi officials project strong ties between Prince Mohammed and Macron, both young leaders undertaking the difficult task of reforming their countries. Macron waded into a regional crisis last November when Lebanon's Prime Minister Saad Hariri tendered his resignation on live television from Riyadh. Macron invited Hariri to Paris for talks and he has since rescinded his resignation.